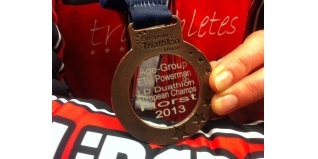 With Lucy Gossage winning the ETU Powerman Long Distance championships here, courtesy of Malcolm Westwood, are the unconfirmed age-group results for the 2013 ETU Powerman European Duathlon Championships in Horst, Netherlands. The ITU site is being a bit slow at getting the results up, as soon as we can get them we'll compile the full results for the archive. India Lee (F25-29) was first GB female athlete and first overall female, Alan Murchison (M40-44) was first GB male athlete and sixth overall male. Eight athletes finished in fourth place: Sam Pillans (M16-19), Samantha Anderson (F25-29), Craig Palmer (M25-29), Holly Ferrar (F30-34), Kate Peers (F35-39), Scott Wilson (M40-44), Greg Lewis (M50-54), Ron Skilling (M60-64).